Westminster City Council has recently secured £2.8m to deliver an ERDF funding project that aims to connect SMEs within Westminster and the West End to gigabit capable broadband connections. The Council sees the provision of future proof broadband as essential to help businesses to grow and break down barriers to growth. Your business is situated within the eligible area of Westminster. You're an SME, registered charity, social enterprise or sole trader. Installation cost of your new broadband connection exceeds £100. The connection is for your business premises. You can apply for a connection at home if this is your main work base. You are willing to sign up to a minimum 6-month broadband contract. Your new connection delivers at least double your current speeds. You've not received more than £200,000 in grants in the last 3 years. What does the voucher cover? If you’re unsure whether a cost qualifies please contact us. Telappliant have over 14 years’ experience providing advanced and reliable communications to SMEs in the UK and around the world. We have won 16 industry recognised awards and pride ourselves on offering integrated solutions designed to help businesses succeed. We offer excellent customer service and with a 9.2/10 rating on Trustpilot our customers agree. Complete an application form and send it along with our quote to the Connect Westminster team. You will be issued a voucher by the Connect Westminster Scheme. Place an order with us within 28 days of receiving your voucher. 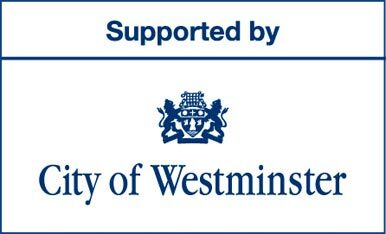 Once the work is completed and the invoice is paid redeem your voucher with the Connect Westminster Scheme. To find out more about upgrading Internet service to Telappliant with the help of the Connect Westminster Voucher Scheme speak to one of our team on 0345 004 4040 or contact us.